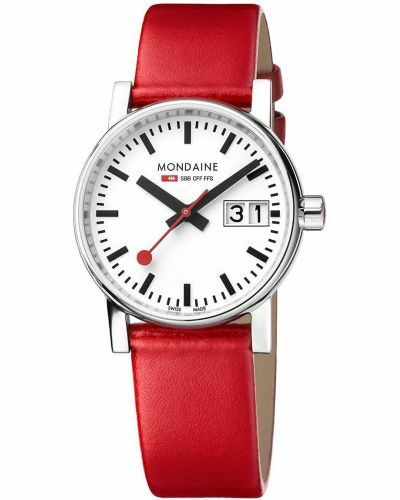 Housed beneath protective scratch resistant Sapphire glass lies the traditional Swiss railway dial complete with steel hour markers, stick hands and the much revered red lollipop second hand. 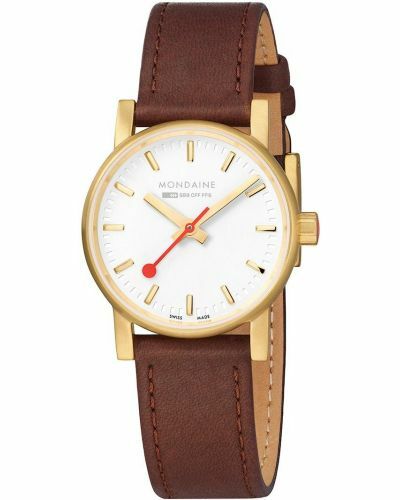 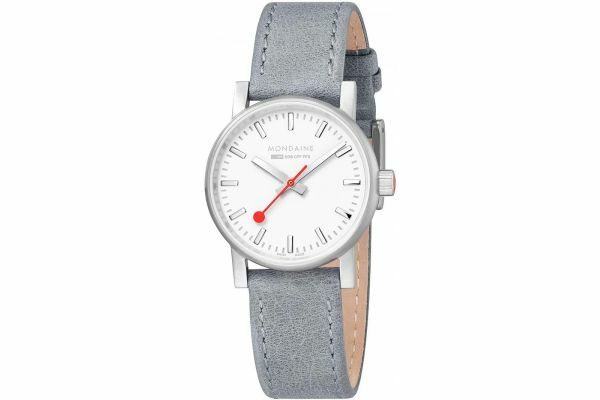 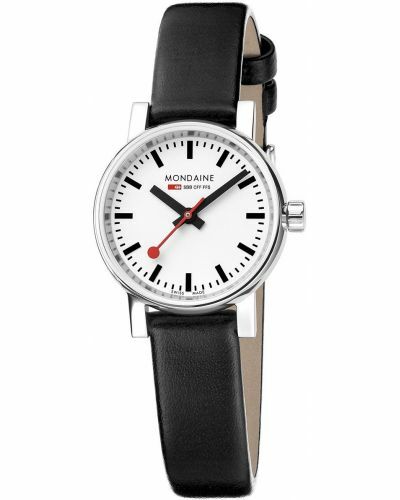 Set upon a chic light grey genuine elather strap and fastened by a secure stainless steel buckel; this watch is ideal to pair with a jeans and a blazer for a smart casual look. 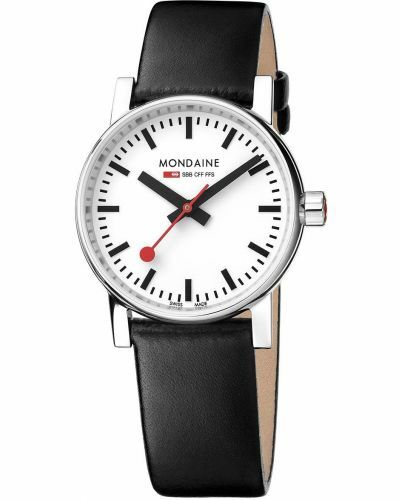 Powered by Swiss Quartz movement and water resistant up to 30 meters, the Evo2 comes complete with a two year guarantee and official Mondaine packaging.